Mountain Goat are the original ‘Lake District Mini-Bus Company’. Established in 1972, our name was changed after a customer commented that our buses climbed the Lakeland fells like a ‘Mountain Goat’. With already a firm recognition as the award winning No.1 Lake District Tour specialist, Mountain Goat have become local and national stars on the 12 week ITV series ‘The Lakes’ which in turn has created a remarkable influx of interest and admiration for the company. Our first Minibus in 1972 plied its way from Bowness on Windermere to Glenridding on Ullswater, re-establishing a bus connection between Lakeland Villages. Travellers using the service completed the return journey, more often than not, listening to the area’s stories and information from the local driver. Over time more and more visitors wanted to explore the area’s spectacular scenery and history associations therefore we took this opportunity to set up daily sightseeing tours covering all four corners of the Lake District. 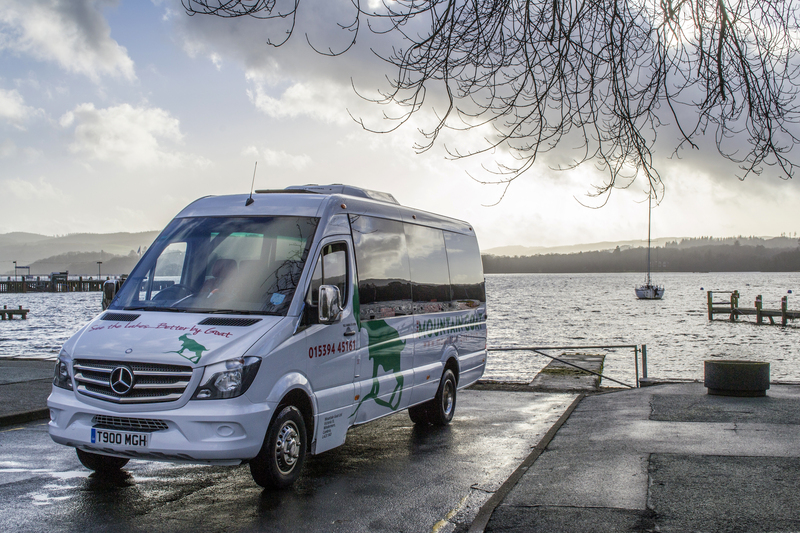 With our brand new fleet of luxury Mercedes Sprinters Mountain Goat today are renowned for their exciting and inspiring choice of guided sightseeing tours. We also provide exclusive group hire, walking guide services, the ‘Cross Lakes Experience’ Bus Service, Lake District Tour & Stay Breaks and touring holidays in the North and Borders.